Etisalat announced the offering of the most advanced iPhones ever, iPhone XS and iPhone XS Max, and Apple Watch Series 4 (GPS + Cellular) across all Etisalat stores in UAE, through www.etisalat.ae/iphonexs, and My UAE Etisalat App. Khaled Elkhouly, Chief Consumer Officer at Etisalat said: "Etisalat is thrilled that the much awaited iPhone XS and iPhone XS Max as well as the Apple Watch Series 4 (GPS +Cellular) will be available for customers in the UAE at the same time as their global counterparts. Iphones and other Apple devices are receiving an overwhelming response among our subscribers, and we at Etisalat are committed to continuously offer new deals to our customers. Etisalat customers will be able to purchase iPhone XS and iPhone XS Max with flexible Smart Pay plans on a 12, 18, or 24 month contract and also avail the AppleCare+ service for only AED 30 per month. Customers opting for a 24 month smart pay plan can purchase iPhone XS for AED185, or the iPhone XS Max for AED210, each month. As a launch promotion, those who purchase the iPhone device from Etisalat will enjoy a free six months subscription to Apple Music and 200GB iCloud Storage Free for two months. 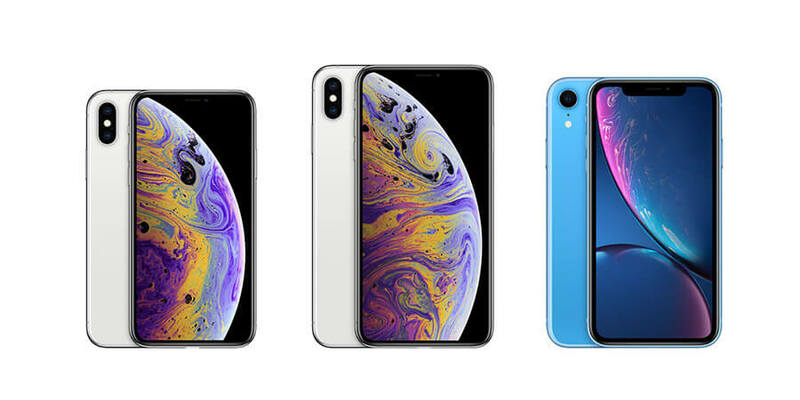 dditionally, customers will also enjoy up to 40 percent discount on the monthly rental for the second device (iPad, Apple Watch or Airpod) purchased with the new iPhone XS and iPhone XS MAX devices. iPhone XS and XS Max are available in 64, 256 and 512GB capacity. The standalone price of the iPhone XS (64GB) is AED4,028, while the 256 and 512GB variants are priced at AED4,628 and AED5,437, respectively. The 64GB model of the iPhone XS Max costs AED200 more than the smaller XS, starting at AED4,248 outright. A 256GB configuration costs AED5,028 and the 512GB XS Max costs AED5,837 outright. Prices are subject to 5% VAT. For complete pricing details, please visit www.etisalat.ae/iphonexs. iPhone XS and iPhone XS Max bring an improved dual camera system that offers breakthrough photo and video features, A12 Bionic chip with next-generation Neural Engine, faster Face ID, wider stereo sound, longer battery life, splash and water resistance, the most durable glass ever in a smartphone, a beautiful new gold finish that joins silver and space gray, and introduce Gigabit-class LTE for even faster download speeds. iPhone XS Max offers a more immersive experience with over 3 million pixels for videos, movies and games, offering the largest display ever in an iPhone. Additionally, iPhone XR, bringing the latest iPhone innovations to more people, will be available to pre-order at Etisalat on 19th October. iPhone XR features an all-screen glass and aluminum design with a 6.1-inch Liquid Retina display - the most color accurate in the industry, with wide color support and True Tone for a more natural viewing experience. iPhone XR features A12 Bionic with next-generation Neural Engine, the TrueDepth camera system, faster Face ID, an advanced camera system that creates dramatic portraits using a single camera lens, LTE Advanced for fast download speeds and six beautiful finishes. It features a stunning 30 percent larger display, a thinner, smaller case and a new interface with more information and richer detail. Apple Watch Series 4 with watchOS 5 brings advanced activity and communications features, along with revolutionary health capabilities including a next generation accelerometer and gyroscope which are able to detect hard falls.